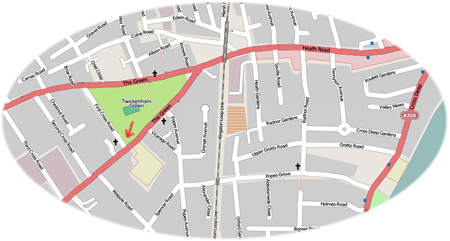 Buses 110, 490 and H22 run along the North side of Twickenham Green and buses 267, 281, 290, R70 and N22 along the South side. 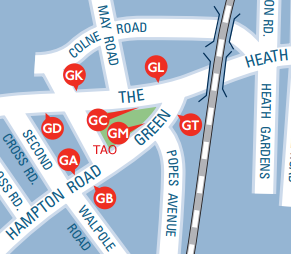 See the lower map (from TfL) for the location of the bus stops. or just come along on a drop-in day.